HVAC Contractors in San Ramon, CA | Comfy Heating & Air Conditioning Inc. The East Bay offers countless benefits to homeowners, not only the plethora of things to do but also the mild year-round weather that residents enjoy. Our summers are mild and our winters are rainy but not too cold, which makes things extremely pleasant. But that pleasantness shouldn’t blind you to the need for air conditioning services, heating services and water heater services in San Ramon, CA. That’s why you need a quality HVAC company like Comfy Heating & Air Conditioning Inc. at your side. We have been in business since 2001, and we have earned that success by providing quality service to homeowners throughout the East Bay. Our trained HVAC staff has the knowledge and experience you need to handle any issue with your heating, air conditioning and indoor air quality system, and we won’t rest until you’re completely satisfied with the work we’ve done. You can get the process started today. Just pick up the phone and call us! Count on Comfy Heating & Air Conditioning Inc. for air conditioning, heating and indoor air quality services in San Ramon, CA and throughout the East Bay and Tri Valley areas. In San Ramon, CA cold summers are surprisingly normal, and while we benefit from mild weather, that also means you may need your heating system at any time of the year. A strong service like the one provided by us means that you can trust us with all stages of your heating system’s service life. We start with top-notch installation services that get your system going. We follow that up with routine maintenance and repairs to keep it running at its peak, and replacement service when the time has come to install a new one. Indoor air quality is a broad topic, covering everything about your household comfort levels not directly related to temperature. In San Ramon, CA, that can mean anything from high humidity to low humidity to dust and dirt to germs and other forms of biological contaminant. A wide variety of products can treat those issues in your home, and whether you need a new one installed or an existing one repaired, the folks at Comfy Heating & Air Conditioning Inc. have got you covered. Our trained staff keeps up with the latest developments in the field and can help you find a system that’s right for your home. Living in a Bay Area city like San Ramon, CA means we enjoy mild temperatures year-round, but we still get our share of heat waves, and when we do, those coastal breezes aren’t going to be enough. Your air conditioning system needs to respond whenever you may need it, and with a little help from our team, it will. Whether you’re installing a new system, replacing an old one or just keeping your existing system in the pink with timely maintenance and repairs, our trained staff has what it takes to get the job done. Set up an appointment with us know and let us show you what we can do! Water heaters are quite often ignored by homeowners since they do their jobs quietly, and other, more pressing issues always seem to take priority. That can be problematic, especially in San Ramon, CA and other towns in the Bay Area. Our proximity to the ocean means that corrosion and impurities in the water can wreak havoc with your water heater if you let it. The solution is to keep your system maintained, repair it when necessary and install or replace it with skill and pride. Contact us today to find out how our water heater services can help you! 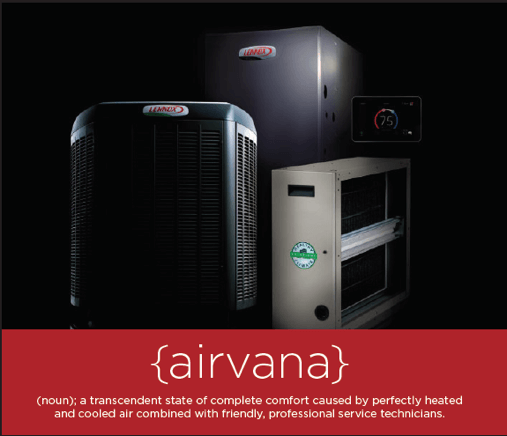 What's New at Comfy Heating & Air Conditioning Inc. Even if your heater is operating “okay,” ignoring any sign of a heating system problem can cause it to turn into a much bigger issue. With damaged ducts, your furnace won’t operate as efficiently as it could, and will start costing you way more than it should to run, as a result.